Bonethrower is a renowned psychedelic artist with roots in skateboarding and DIY culture. For its latest collaboration, adidas teamed up with him on a new capsule collection. Jack Fardell, Daewon Song, Nora Vasconcellos, and Pete Eldridge unveil the project in adidas’ latest commercial. 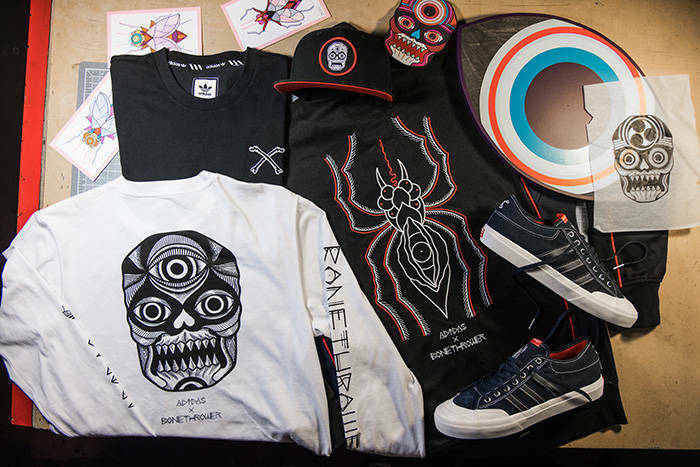 The adidas x Bonethrower capsule will be available starting August 5 at adidas skateboarding retailers and on the adidas skateboarding website. Ray breaks down the origin of the no-comply. You’ve gotta appreciate the curation that goes into Gino’s trick selection.